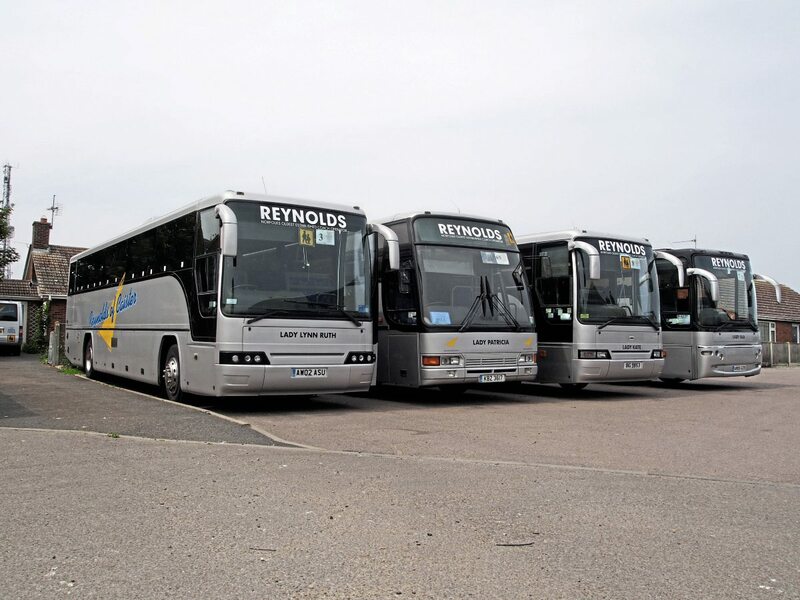 Sadly, the doors are closing for the final time at the depot of Reynolds Coaches. 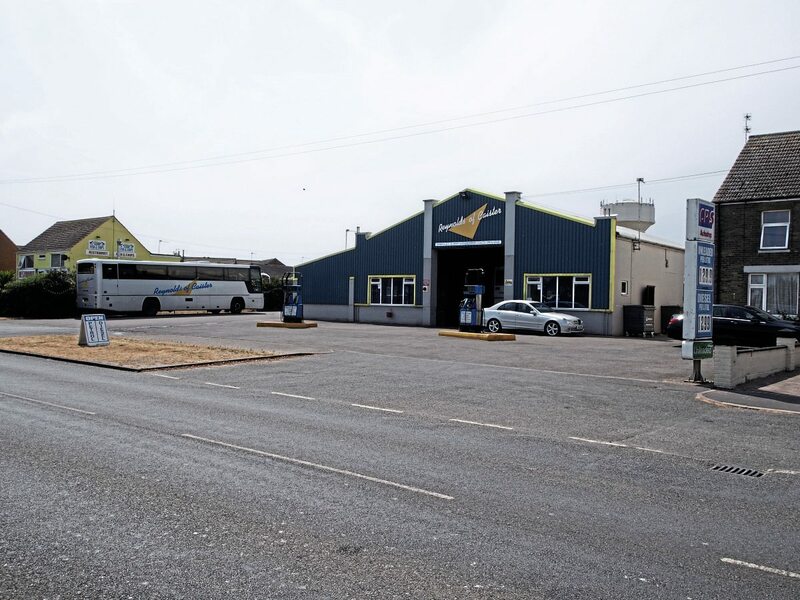 With the company logo emblazoned across the building and the petrol pumps outside, it is a well-known site in Caister-on-Sea, near Great Yarmouth, Norfolk. 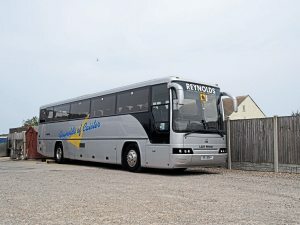 Earlier this year, its owner, Charles Reynolds, announced he had taken the heart-breaking decision to close the operation. That is a difficult conclusion for anyone to make about any company. But what makes it even more poignant is that it closes the final chapter to an extensive history of coaching, as Charles explained. 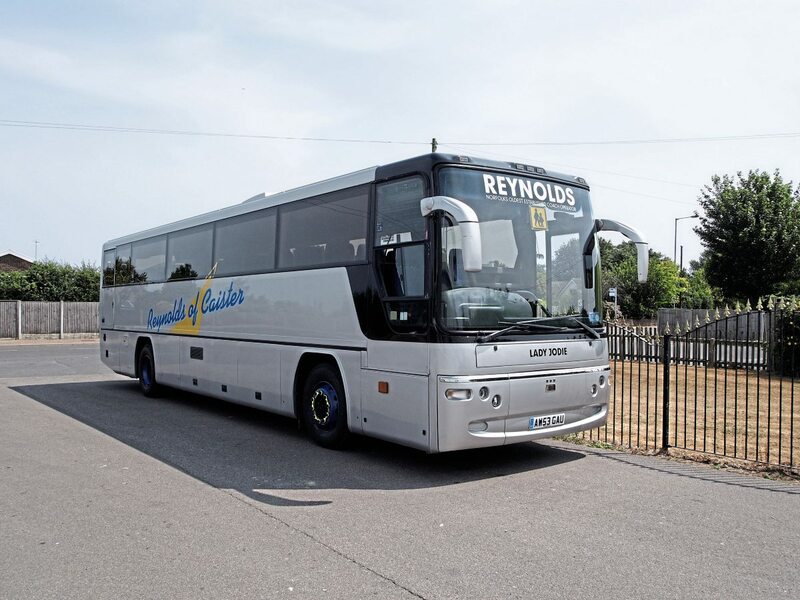 Reynolds Coaches’ history goes back to 1910. 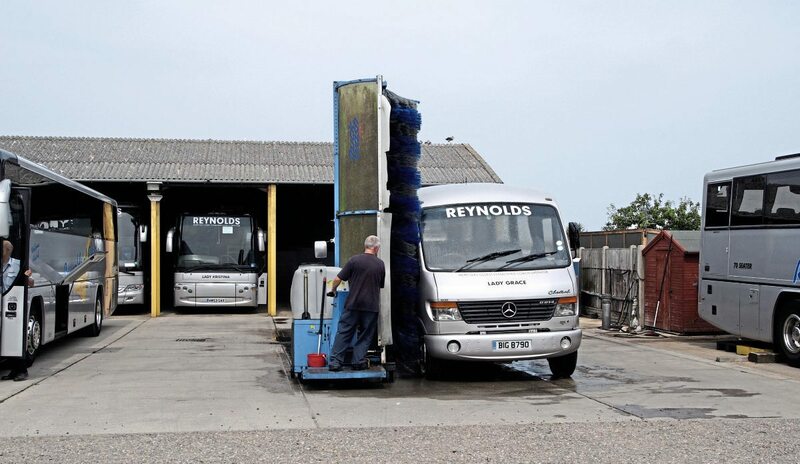 However, the family can trace its roots back further than that, having been based and running businesses from the general location of the current site for much longer. It was Charles’ grandfather, Newman Charles Reynolds, that started the operation in Caister, originally with ponies and traps. 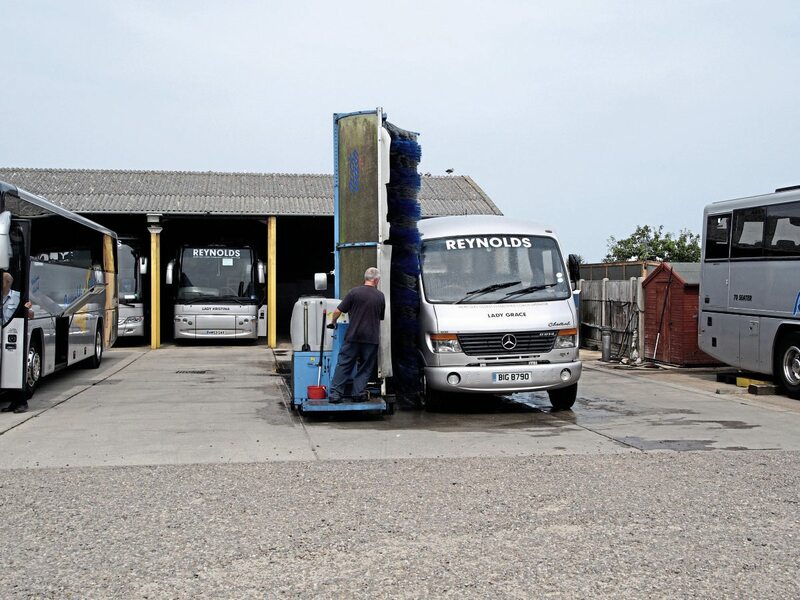 The business carried out a variety of operations including passenger transport, haulage, taxis and even building development. 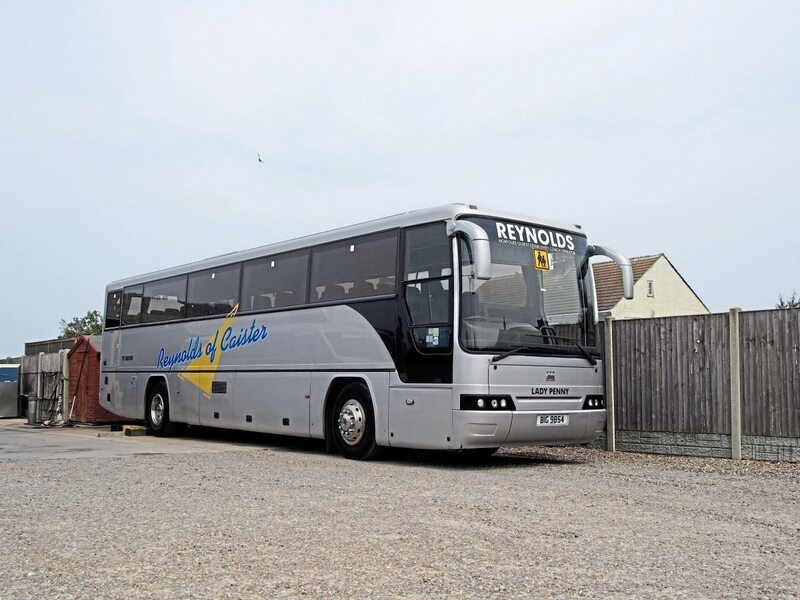 In fact, Reynolds Avenue in Caister was named after Newman, with him having developed properties on the road. Charles was born next door to the depot, in the family home. In 1977, after engineering training with Mann Egerton & Company, he joined his father’s business. He became a Partner in 1984 and on Leonard’s death in 1996 became sole owner. 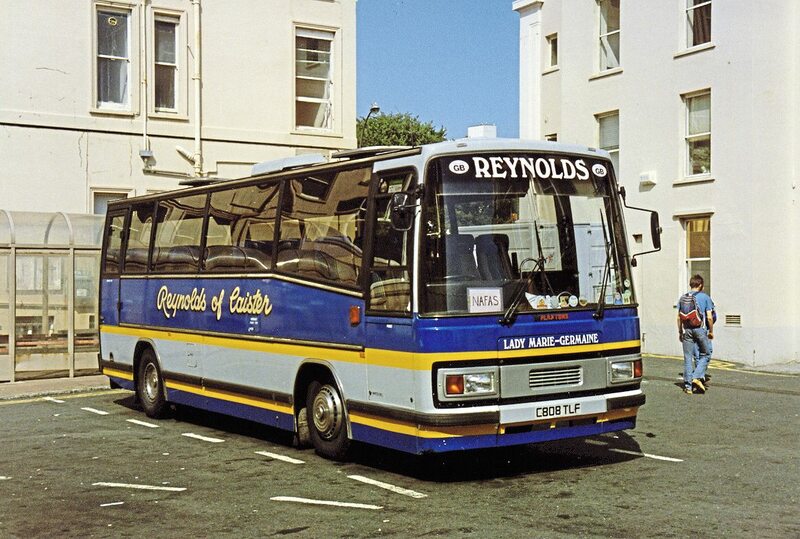 Between the mid-90s and the present day the coach fleet expanded from eight coaches to its present-day size of 21. 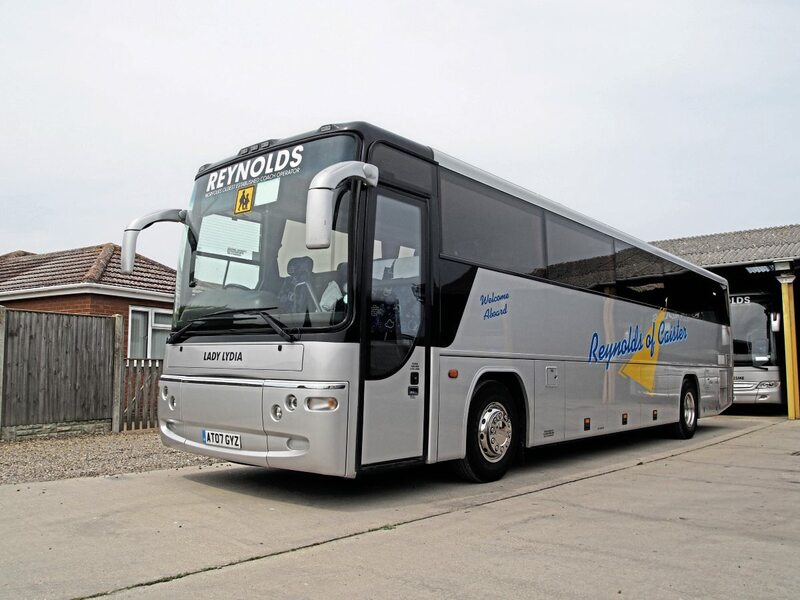 In 2007 Reynolds became a Limited Company. He did not end his political career, but stood for Ormesby, a village in the Great Yarmouth area, which he has stood for ever since. Next year will be his 40th year as a councillor. 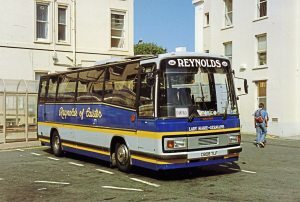 Despite the happy memories, running Reynolds has been a hard task. “I start work at 5am every day; the first coach goes out at 6am,” said Charles. But it was not these punishing hours that made him take the decision to close the operation. “The main thing is this illness I’ve had. I thought, shall I cut down? But no, the phones will still be ringing and I will still have worries. “Everything had gone well until late October when we had a couple of weekends away and I didn’t feel right at all. I said to my wife, I have to see the doctor with these aches and pains. I went for scans and tests and the next week I was told I had lung cancer. At that stage, I had to ask the question – how long have I got? “I started with the treatment the next day. I was working all the time, as much as I could. I warned the education departments about the situation, I didn’t want to let them down. I thought, if I’ve only got a short time, I want to get everything with my family sorted out. “Anyhow, back in March I had scans and the treatment had cleared it. The doctor did warn me it’s a nasty thing and it could come back, but from now on I’m OK. I was delighted with the thought I’ll have a few more years. “But I had to admit, mentally and physically I’m not what I was. And in this profession, you have something happening every day. I thought, what do I do? Geoffrey is fit as a fiddle, but he’s getting older and I think he would like to ease down. “Then there’s London,” he said, referring to the ULEZ. “With all this about Euro VI there, I don’t know if it’s going to be a success. This is politics gone mad. 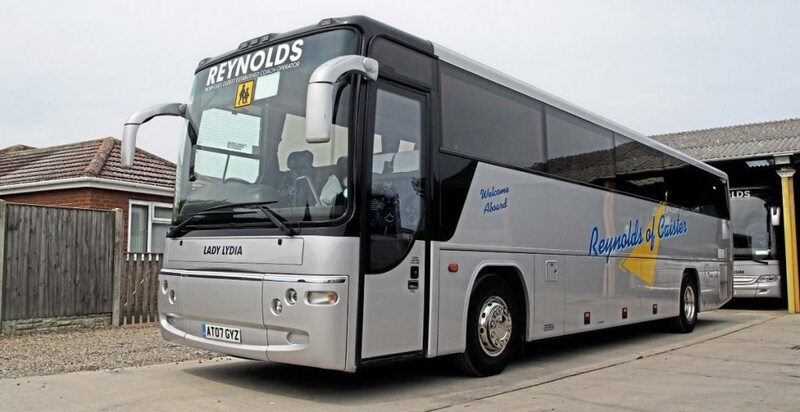 If I continue, I’ll need a 70-seater and a 52-seater to go into London. I’ve never used finance for more than two years. I’m 62 years old now, and I would have to borrow money. Then all my staff are getting older and with this emission thing, it all gets worse and worse. Unfortunately, Charles does not have anyone to pass the operation to. 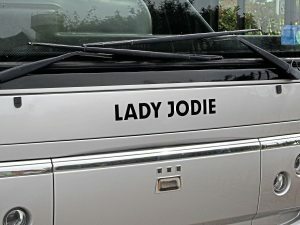 He has one daughter, but she lives with her husband and two young children in the south west. They have their own property and leisure business, so are unable to succeed him. Another option would be to sell the company on, but unfortunately there was no suitable buyer. It will certainly be sad to see the operation go, especially after so many years. But at least there will be some great memories for Charles. 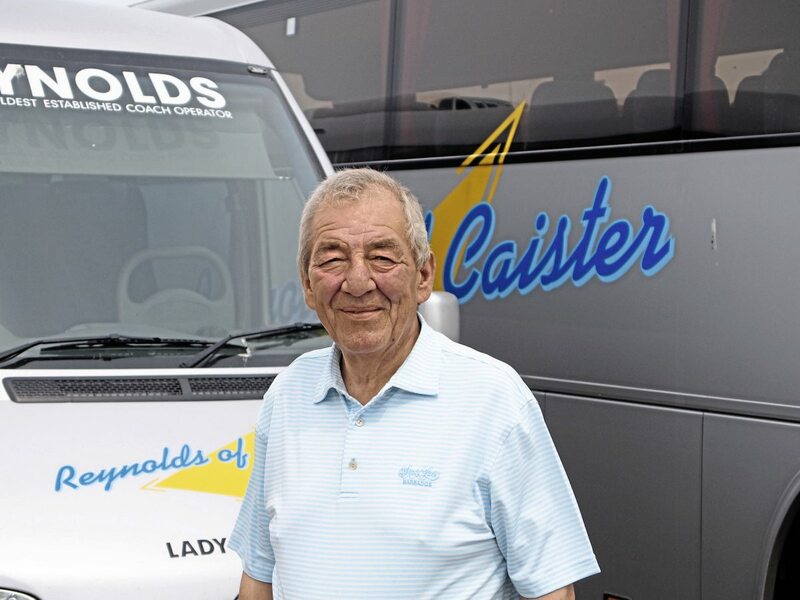 When asked about some of the most stand-out moments for the operation, he sank back in his chair in thought for a while: “My father pioneered coaching to Switzerland from the UK. This was in 1954. The headmaster of a Caister school said he was thinking of going to Switzerland. My dad didn’t know how to price that. It involved two nights across France and then into Switzerland. They had a wonderful time and it became a yearly thing. They took other people, mums and dads, friends. It went on until the mid-70s. Then the currency conversion rate of the Swiss franc and pound got terrible. “I’ve handled some things probably out of my league in my time. Beecham Group held a conference here and it saw 2,500 people come in from all over the country. They asked me to pull together a whole transport package for it. They passed it on to me and I came back with a figure. I spent a lot of time putting the whole thing together; I got everything within a 20-minute window. This was about 35 years ago. I got a cheque for £28,000, which was a fortune. How pleased they were. 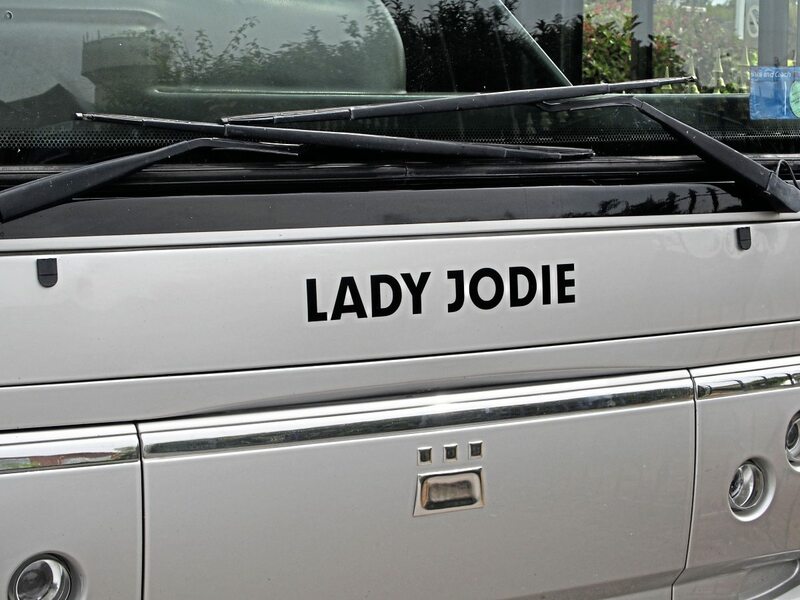 We’ve done sport tours like that too. 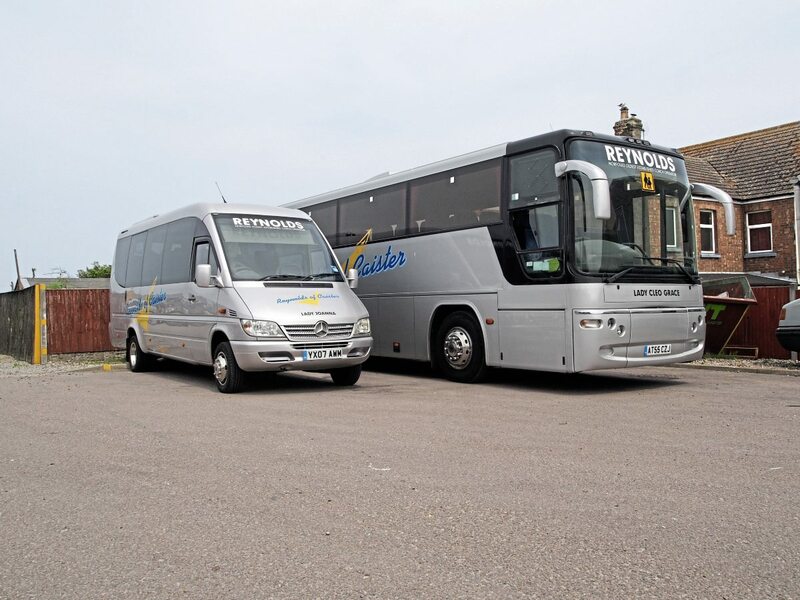 There was a rugby event in Great Yarmouth and we had 16 coaches bringing kids in from all over the country. One of the successes Charles has had includes being able to cope with the changes that have beset the industry over the years. 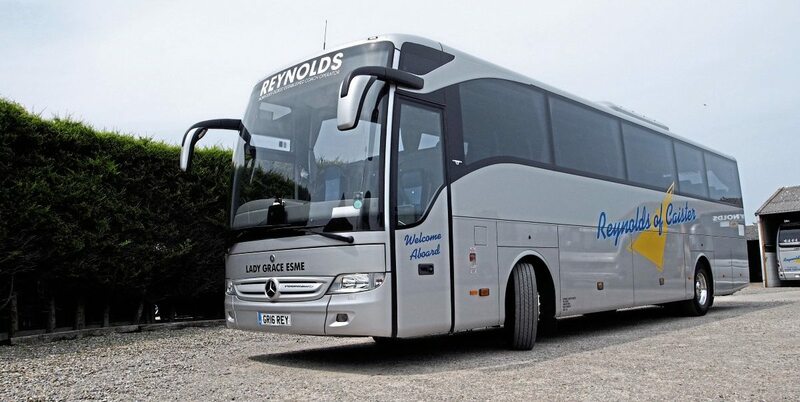 He said: “The coach market has changed greatly. Our excursion trade has declined from 40,000 people a year to 5,500 last year. People have changed their holiday habits. What is the key to Charles’ success over the years? “You have to be good at something. I’ve built a first-class reputation with schools. Even though I’m not the cheapest, I still get the work. So, for all this to come to an end after so many years, how must it feel? “I can’t take it in; it’s surreal. Yesterday morning, I thought this is the last Wednesday I will be locking up at 5am. I still can’t take it in. It will probably hit me hard. 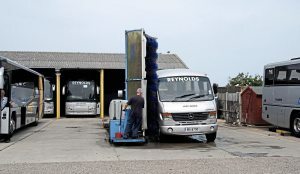 “Drivers and staff have been very good about it too. I’ve got first class staff here, full and part time. They took it very well. We did it all properly, and they have been very good. It’s cost us a lot in redundancy. Even those who did not get redundancy, they didn’t walk away from the company.